Dunwerkin is our first wooden boat. 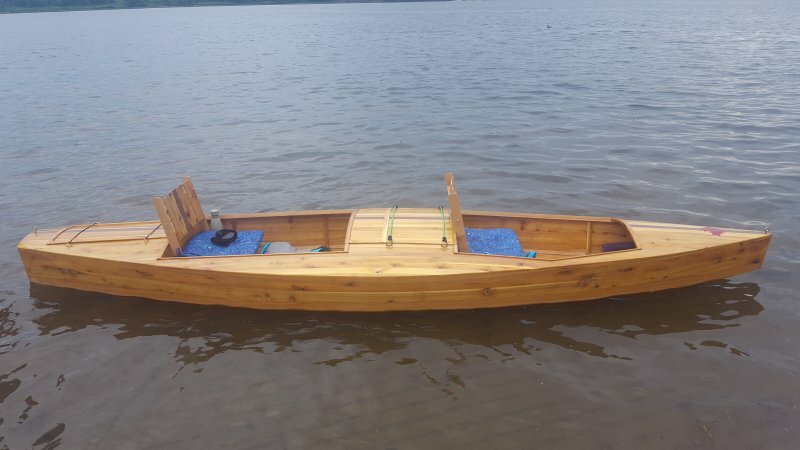 It’s a 14′ square stern kayak made of cedar. Runs like a dream. I am proud of it although I just paddle. I didn't build it. That job was left to a friend.